Touring homes and writing an offer is the fun part of purchasing a home. But what shows on HGTV don’t always show you is one of the most important parts—getting a home inspection. 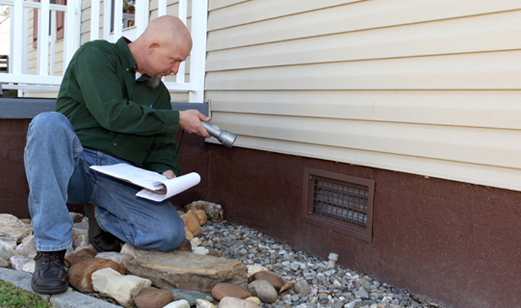 Here are a list of common questions and answers about home inspections. While you’re not required to get a home inspection before purchasing a home, I always strongly recommend it. There is an inspection contingency in the purchase contract that protects you as a buyer. Plus, inspectors will look at things that you can’t see with your own eyes when you toured the property with your Realtor. And for the cost of a home inspection, you could literally be saving yourself thousands of dollars in potential repairs for problems that might have gone unnoticed had you not had a home inspection. Why wouldn’t I get an inspection? If the home you put an offer on is in high demand, either because of its location or condition, forgoing an inspection may be one less constraint on the sale. But this is generally not something I would recommend. 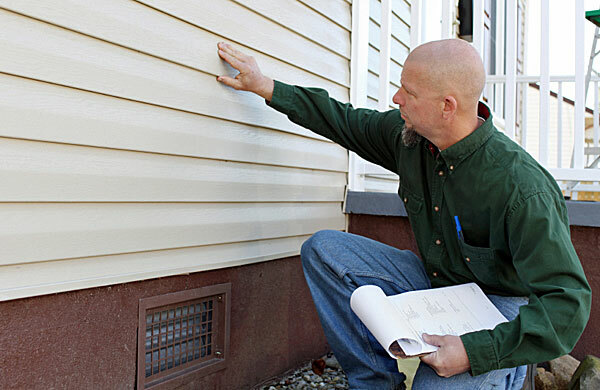 Inspections are a chance for the opinion of an outside, unbiased professional to provide insight on the condition of your future home. An inspector is trained to look for potential issues a home may have, and will prepare a detailed report, many times with photos, to help educate you on your new home. Besides that, the terms of a mortgage may also require you to have an inspection. The inspection payment is the buyer’s responsibility. The buyer is also responsible for finding and scheduling an inspector. I am always happy to recommend great inspectors. While the cost of a home inspection varies, a typical range in our area is $300–$500. Yes. It’s also your chance to dig a little deeper into the home—to open the electrical panel, take note of anything that worries you and ask questions of the inspector, too. I always like to arrive toward the end of the home inspection and I encourage my buyers to do that same. That way the home inspector can walk us around the house and point out anything of concern to us in person. The inspector will prepare a report indicating any items of concern. Depending on the offer terms, the buyer may use that report to negotiate with the seller over specific repairs to be done before the sale is finalized, to request compensation for things that will need to be fixed in the near future, or to void the sale because of extreme issues and walk away from the transaction. My inspection report is long. Is that worrisome? Not necessarily. A good home inspector is also going to include a list of regular maintenance items, and it’s an inspector’s job to point them all out. Many things may not be pressing but simply a reminder of to-dos that may need to happen in the future. Is there anything beside a general home inspection I should be aware of? Depending on the age of the house you may want to get a 4 point inspection report. This could be needed by insurance companies to bind your insurance policy. Also in Florida a wind mitigation report may be able to get you a credit on your insurance in regard to the roof. I always discuss with my buyers these options. Also, if the house is on a septic system, has well water, or may be prone to termites, sometimes having a specialist look at these items separate can be a good idea. If you’re considering buying a home, or would like a list of inspectors I’m happy to recommend, contact me today. It would be my pleasure to help you through the home buying process!